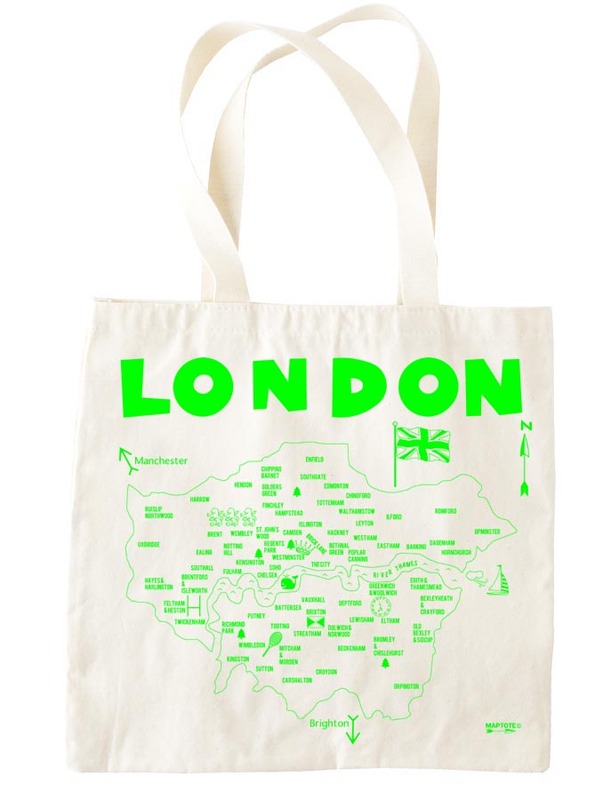 Until the first GPS-powered tote bag has been invented, I’m happy with this alternative: a Maptote brand cotton grocery bag, bearing a map of London. It’s available in white/lime green or black/orange (very Halloween, people!) and is made in Brooklyn, New York. Posted on 4, October 2011, in Design and tagged bag, British, design, tote. Bookmark the permalink. Leave a comment.